From the outset it was clear that a similar performance could only be reached if we could re-use the DVD32R's proven electronics, but linked to a front loading DVD mechanism. However, the DVD32R is an extremely compact design, bearing in mind that it includes a heavy, lead-weighted, suspended DVD transport mechanism, hence the height had to increase to add the front loading DVD mechanism above the DVD32R's main printed circuit board. Is the DVD32FLR not a pretty sister to the beautiful and sleek DVD32R? The DVD32FLR uses the DVD32R's power supply circuitry and main printed circuit board, linked to a front loading DVD mechanism. Progressive Scan Option - and more! Like the DVD32R, the DVD32FLR continues TAG McLaren's tradition of protecting their customers' investment with upgradability other manufacturers can only dream of. 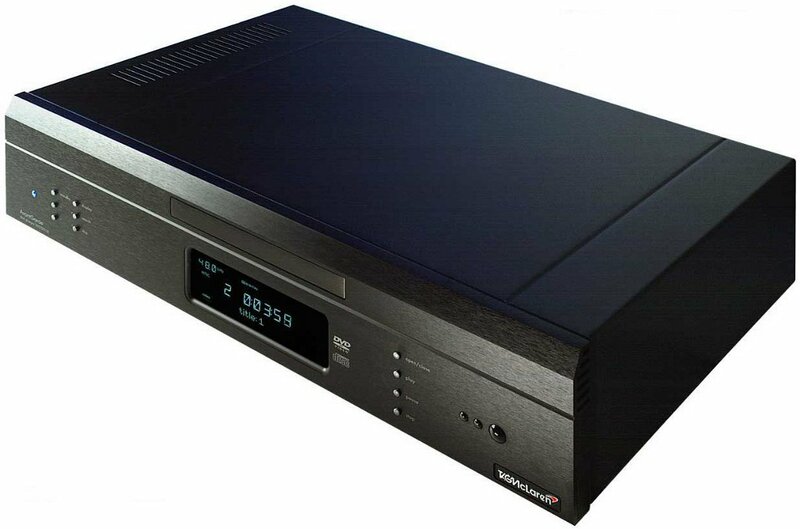 The DVD32FLR can already be upgraded to accept the stunning Progressive Scan Module PSM192, providing top class, motion-adaptive analog and digital progressive scan output from PAL and NTSC DVDs - but also generating progressive scan output from all your S-Video and Composite video sources. 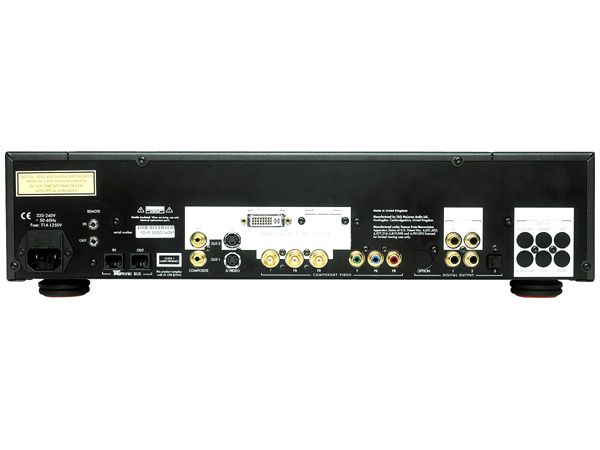 And when DVD-Audio and DVI PanelLink A/V upgrades become available for the DVD32R, they will automatically suit the DVD32FLR also. Is it really as good as the DVD32R? ...no, of course not, but it is very close! As far as we know, the DVD32R is the world's only top loading DVD player using a suspended, lead weighted sub-chassis for near perfect decoupling. It is also the only one offering a Synchronisation Link to lock the DVD player's clock to the master clock in the av processor. There is a simple reason for this exclusivity: it is extremely difficult to do, a fact demonstrated in the high cost. One of the keys to the DVD32R's performance is, as we have explained above, its mechanical construction. Mechanical stability is an essential element in getting the best from any disc transport, so the DVD32FLR would have to be as solid as they come. The vault-like construction of the player starts with its ultra-rigid front panel. The panel is machined from a 17 mm thick custom aluminium extrusion, deeply finned for maximum rigidity. The player's rigid, folded chassis bolts directly to the front panel, creating a very stiff assembly. The loader mechanism itself is carried on a separate sub-chassis which is in turn bolted to both the chassis and the front panel, further increasing the rigidity of the player. Finally, the lid fits snugly into the front panel extrusion and is bolted to the chassis at the rear. The entire construction weighs in at a substantial 8.85 kg and rests on TAG McLaren's custom made Sorbothane mounting feet for vibration isolation. With the electronics and software of the DVD32R and a mechanical construction that would survive almost any earthquake, the DVD32FLR has got as close as possible to the DVD32R's construction whilst using a front loading DVD mechanism and being therefore of lower cost. Not surprisingly, there were only minor differences when comparing the measurements of both products - an often made observation when it comes to the very best of audio and audio-visual equipment - so extended listening and visual tests had to be carried out with an end result that surprised even our sound and picture assessment team (the Golden Ears and Eyes). All results are referenced to the DVD32R. For example, a score of 93% means that the DVD32FLR achieves in that category 93% of the DVD32R's performance. Each category is normalised, hence different categories can't be compared with each other. Of course, these are subjective results, which might vary from observer to observer, depending on their personal preferences. In addition a very high quality hifi rack with proven 'vibration isolating' effect might further reduce the performance gap between both players, as would mounting the DVD32FLR in an enclosed cupboard, i.e. away from any acoustic energy, but the same is also true for the DVD32R. All in all, we can conclude that the DVDFLR's heritage has resulted in a tour de force in front-loading DVD and CD replay! The DVD32R has finally found a genuine rival!